Looking to attract new customers? Well, most restaurants turn to advertising. For many years, local print was the popular choice. But print seems to be getting less effective every year. Restaurant owners have heard about the power of Facebook advertising, but many just don’t understand how it can be used effectively. 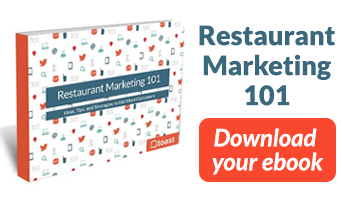 We've put together a guide to restaurant marketing on Facebook. A how to use Facebook ads for restaurants; get more customers through the door of your restaurant (and spend less money doing so, too).
. 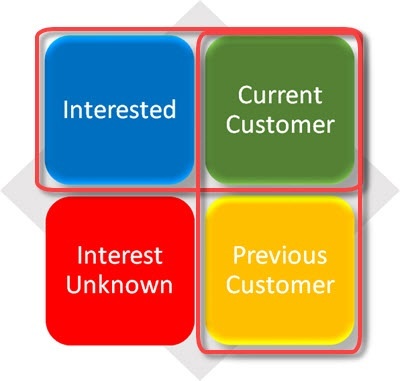 Your current customers are your most interested audience. If you want an immediate increase in business, your current customers will be most interested in a promotional offer or hearing about a new menu item. Upload your current email lists, text marketing lists, and online ordering lists. Facebook will match the information with current Facebook users. You can then target current customers with your restaurant's ad on Facebook. Ads targeting customer lists get the most interest and are also lowest cost Facebook ads you can run. A “window shopper” is someone that has looked at your restaurant’s website, maybe just to check the business or the menu out. Window shoppers also include current customers that haven’t joined your email list, loyalty program, or other direct methods of contacting them, but they have looked at your website. Installing the Facebook ad pixel on every page of your website allows Facebook to identify website visitors so you can target them with an ad. In 3 to 6 months of tracking website clicks with the Facebook ad pixel, you will have built a large target audience of people that have shown an interest in your restaurant. Using Facebook Custom Audiences groups your website visitors into an audience of “interested” customers. Target your website visitor audience and your audience built from customer lists to get great ad results. 3. Find out who you should target. Facebook provides tools that allow you to analyze your current customers and to create audiences that are similar to your current customers. Facebook Audience Insights allows you to learn more about your current customers including geography, demographics, lifestyle, and purchase behavior. The more you know about your customers, the better you can tailor your message and creative to attract new customers. Facebook Lookalike Audiences analyzes the demographics and interests of the people in your current audience and then finds people who “look like” your audience. Use Lookalike Audiences when your custom audiences are representative of your current customers. For example, if your email club list is an active and accurate representation of your current customer base, this would be a good custom audience to use to create a lookalike audience. 4. Advertise to “new” customers. A new customer is a person in your local market that is unaware you exist. Imagine you told your local print vendor that you only want to put your ad in front of people that are new to your restaurant. Unlikely, right? Well, that’s what you can do with Facebook. Did You Know? - 75% of restaurants will advertise on social media this year. Will you? For more stats on restaurant social media, Download the Restaurant Success in 2017 Industry Report. When creating your ad on Facebook, target the most likely people in your local market that would be interested in your restaurant using factors like demographics and interest categories. Then, exclude your custom audiences built from your customer lists and website visitors. Your ad copy should include a short statement about why someone would be interested in your restaurant. You should expect overall less interest in your Facebook ad when targeting new customers, but should also expect to spend more money when advertising to new customers over a longer period of time. 5. Every ad you run should be two ads. Many times, you just want to drive business with an ad by targeting both everyone that knows about your restaurant as well as new customers. The reason why lies in how Facebook displays your ads. Facebook’s goal is to get you the best ad results for your budget. If you run one ad targeting everyone in your local market, Facebook will put your ad in front of the people that would most likely be interested in the ad. Unfortunately, that will skew the ad results and end up displaying the ad to your interested audience. By mixing in new customers with interested customers, you end up increasing your average ad costs. You can spend less money on your ads and get better results if you run two ads. One ad targets only your interested customers (current customer audience and website visitor audience). The second ad targets your local target market and excludes the interested audience. Designing ads this way ensures you are never spending money targeting the same people with two ads. Over time, adjust the amount of money budgeted for the two ads to get your best overall ad results. 6. You can target people that happen to be in your area. Here's something you can’t easily do with print. Facebook targeting options allow you to target everyone in an area, including people that are visiting. This is perfect for restaurants in tourist areas or for restaurants near where people work. Facebook uses location data from a person’s mobile phone allowing your ad to display on the mobile devices of people in your area that meet your targeting criteria. 7. Your website visitor audience lists are always fresh. As you know, all marketing lists like email or text lists get stale over time. Customers move or lose interest in your restaurant. That’s the primary reason why email open rates decline over time. Facebook, on the other hand, only tracks visitors for up to 180 days. Targeting your website visitor audience with Facebook ads ensures that the audience is always fresh and most likely interested. You can also choose to shorten the number of days you consider a customer to be fresh. 8. Push harder for a sale. When it’s Super Bowl time, many people search for where to cater their Super Bowl party. Your catering web page is one of several restaurant catering pages visited by a potential buyer. Lucky for you, you are also tracking the people that have visited your catering page with your Facebook ad pixel. Over the next few days, your potential customer will be shown Facebook ads pushing your Super Bowl catering. What I have just described is known as remarketing, and it is commonly used by retailers targeting people with an ad for the product they just looked at. 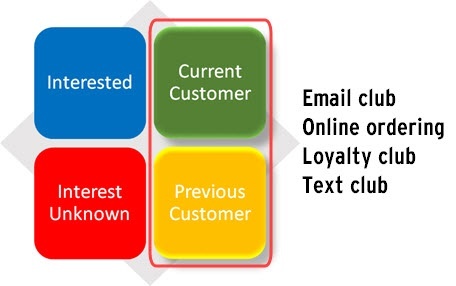 The graphic below shows the different online sites where you can track what a customer is interested in. Tracking website visits is relatively easy since most restaurants control their website and can have the Facebook ad tracking pixel installed for them on their web pages. To know a customer was specifically interested in gift cards or catering requires that there be a webpage dedicated to that service. Catering, fundraising, and gift cards are all great opportunities to follow up a website visit with Facebook ads continuing to promote the specific service. Splitting your menu into breakfast, lunch, and dinner web pages can help when targeting Facebook ads promoting your business for different times in the day. Certainly, the best audience for a Facebook ad with a lunch-time offer are the people that have visited your lunch menu. Online ordering is typically handled by a third party online ordering provider. You will need to ask your online ordering provider to add your Facebook ad pixel to the pages associated with your restaurant. If your online ordering is integrated, this may be less of a problem. When running a Facebook ad for online ordering, the best audience is the people you know have visited your online order site and the hottest audience is the people that have placed an online order. For online ordering, Facebook also provides special tracking codes that can be added to the online ordering buying process (typically view, add to cart, checkout, purchase). With ad tracking pixels through to the purchase phase of the buying process, you can identify customers that have completed an online order. An overlooked tracking opportunity for restaurants are digital coupons. It’s typical for restaurants to use coupons in their email marketing or to post coupon offers on Facebook, Twitter, or their website. If you categorize your coupon offers by the type of coupon offer and track the clicks using the Facebook ad pixel, you now have the ability to identify custom audiences based on the coupon offer that interested them. By tracking the coupon through to redemption, you can identify the customers that stopped in to use a targeted offer. 10. Email marketing helps build your Facebook custom audiences. Most email marketing messages include coupon offers, drive the customer to view additional website information, or start the online ordering process. With the Facebook ad pixel installed on the coupons, your website, and online ordering pages you will be able to automatically add customers to Facebook audiences with specific interest because of your email marketing messages. 11. Your Facebook ads help grow your email marketing list. When running a Facebook ad with a special offer, land the customer on a web page where the customer requests to have the offer emailed to them. Allow customers to opt-in to your email list after completing the form. Data from That's Biz shows that 10 to 30% of people that request the offer will stop in to use it. Adding the email opt-ins to your email marketing list allows you to target all of the people that requested the coupon with future email marketing messages. 12. Determine what works best - email marketing or Facebook ads. Run the same promotion in both mediums and test the results. Add pixel tracking to the coupon so you can track where the customer got the coupon. Be sure to redeem the coupon offer so you can also track which marketing method, email or Facebook, drove the customer visit. 13. Stop showing ads to people that purchased. Facebook allows you to stop showing your ad to people that have taken the action you wanted from the ad. For example, suppose you want to drive customers in the door with a great coupon offer for a new menu item. Your ads will continue to be shown to people that have not stopped in and redeemed the coupon for the new menu item. Facebook allows you to set your conversion to look for people that have redeemed the coupon and stop showing the ad upon conversion. As a matter of fact you can have zero fans. You just need a Facebook page to run Facebook ads. 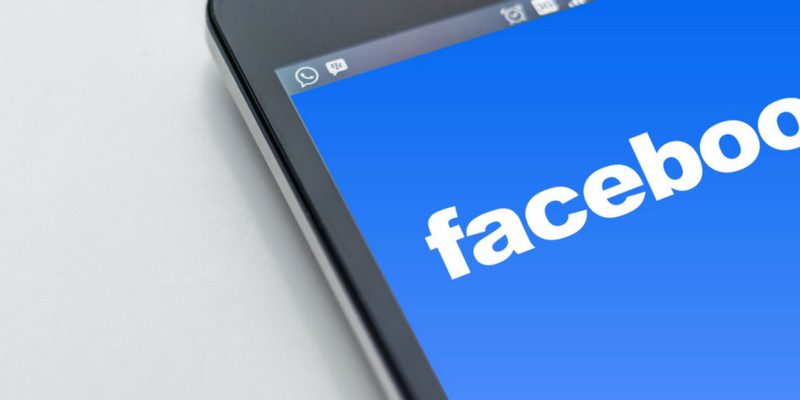 If you have no interest in managing your Facebook page, you can set it up so visitors to your Facebook page see a post directing them to your website. Just make sure to complete the standard information, like an about us page, hours of operation, a link to your online menu. Upload a logo for your profile image and a cover photo that shows a mouth watering image of your signature menu item. Lastly, set your notifications so you are immediately notified if someone provides feedback or messages you about your restaurant. The ad you create in Facebook can be shown to people on Instagram - and you don’t even need an Instagram account! Instagram is owned by Facebook, and so you have the same targeting capabilities. If your target audience is younger than 30 years old, you will find your ads will sometimes get more likes on Instagram than on Facebook. Your ads can also be shown in the Facebook Audience Network. The Audience Network is a collection of mobile apps where you can show ads using the same targeting and measurement tools used on Facebook. Essentially, running ads in the Audience Network extends your reach beyond Facebook and into mobile apps that meet your targeting criteria. In digital advertising Facebook by far has the largest available audience of active users to target your messages. At first it may seem daunting trying to learn how to advertise effectively on Facebook. There is no need to try and figure it out on your own. There are many affordable digital marketing providers that can assist with getting everything setup and make sure that you are getting the best return on your Facebook advertising dollars.